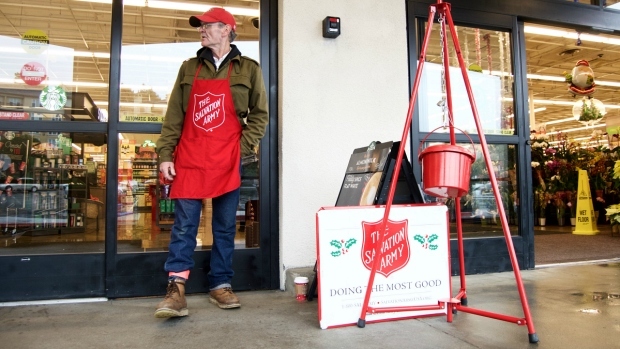 The nonprofit is currently seeking more bell ringers to fill a high need in both San Francisco and northern San Mateo County, but report shortages throughout the Bay Area. 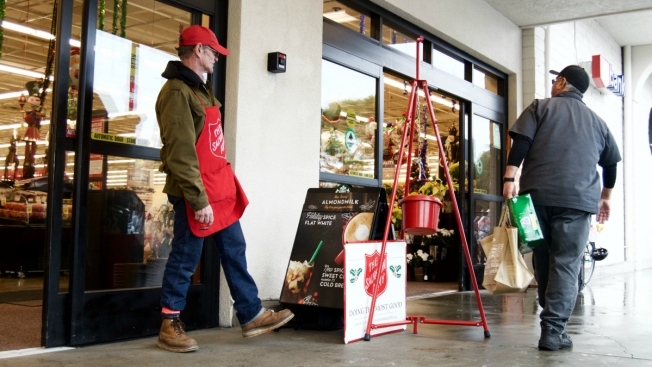 A shortage of red kettle bell ringers has resulted in fundraising efforts down thousands of dollars in San Mateo County alone. "I think sometimes people assume that others will do it. This year somebody else isn't doing it," Lt. Ruairi Ward, an officer in the South San Francisco Corps said. "We really need folks to come and help us." Only about five people a day are ringing bells in San Francisco, compared with 20 to 25 a day on average last year, and is only able to operate five out of 15 locations in San Mateo County, according to Ward. "It's a real crucial fundraiser for us," Ward said. Originating in 1891, the annual red kettle bell fundraiser has been raising funds for holiday programs for 126 years. "The red kettle campaign started in San Francisco with one officer who decided to raise some money for a thousand people in the city to feed them a Christmas meal," Ward said. "So he did that and was very successful, and so it spread to other parts of the world and now it's not only nationwide, but around the world as well. Nationally, the Red Kettle Campaign serves about 3 million people in need during the Christmas season, including around 1 million children and about 25 million throughout the year. Bell ringers are needed for the annual fundraiser until Christmas Eve from 10 a.m. to 6 p.m. Monday to Saturday. "That bell ringing in the background signifies that Christmas is coming near, but it also signifies that there is a need," Ward said. "That is why we ring the bell." Ringers sign up for a minimum of a two-hour shift, but can sign up with a group and split the time with others. For questions or interest, Lt. Ward can also be reached at (650) 266-4591 or ruairi.ward@usw.salvationarmy.org.